The folks at DICE really don’t waste their free time. 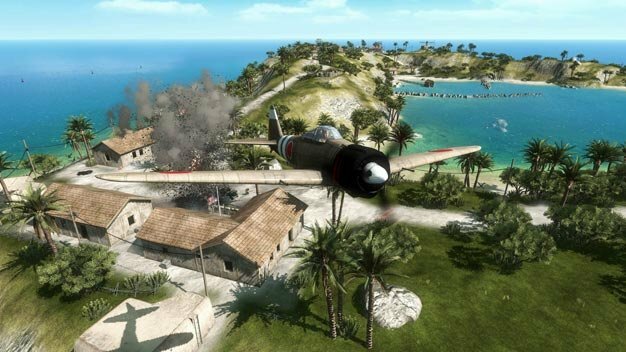 Take the development of Battlefield 1943 for instance, which “was created by a revolving door dev team with limited resources,” according to producer Patrick Liu. The core members of the original team consisted simply of individuals who were filling downtime while they were between projects. While this created an environment of high turnover and low predictability, it forced Liu and his crew to focus their development only on the truly core Battlefield gameplay mechanics. As their work progressed, more interest was garnered and eventually a proper development team was assigned to completing the game. And it’s worth nothing that from this highly unusual origin was spawned one of the single fastest-selling Xbox Live and PSN games of all time.